Anodised Bronze Poster Frames with a 32mm wide frame that look absolutely beautiful. 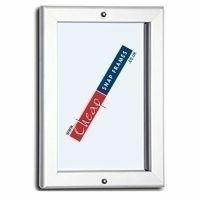 The frame can be used indoors our outdoors as has a 32mm extruded aluminium poster frame. 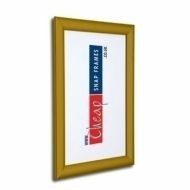 The back panel is made from 1.5mm strong plastic, and all our bronze poster frames are supplied with an anti glare poster cover. Available in sizes A4 up to 60" x 40" with quick delivery to London and the UK mainland.